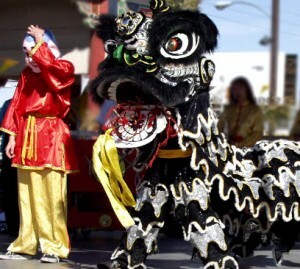 This year the Chinese New Year in Las Vegas falls on February 10, 2013. Chinese throughout the world prepare weeks in advance for the 15-day celebration marking this “Spring Festival.” Last year was designated as the Year of the Tiger. But this year according to the Chinese horoscope, it’s the Year of the Snake. This symbol of the snake carries with it mystery, cunningness as well as great wisdom and divination. An ancient Chinese legend explains the origin of this celebration. A ferocious beast named Niam was devouring countless people with his huge mouth until an old man tricked him into disappearing. This symbol can be found in the giant paper dragons, firecrackers and red banners that appear during parades in celebration of the Chinese New Year. The timing of the occasion also is reflected in welcoming Spring, its signs of fertility, and the end of winter months. This holiday is akin in many ways to the ancient Roman Lupercaria, the Christian Easter and the Jewish Passover. Without question, Las Vegas Chinese Food plays an important part in the Chinese New Year, notably “lucky foods.” Serving a whole chicken, for example, symbolizes family togetherness. Noodles are served to underscore a long life, and for that reason should not be cut up. Spring rolls, which have the appearance of gold bars, symbolize wealth and prosperity. Curiously, language plays an equally important role in the preparation of foods and dishes for the New Year. For example, in Chinese, the words for tangerine and orange sound like luck and wealth and for this reason they are served generously at the holiday table. Also, the pomelo, which is like a large grapefruit, signifies abundance because the word for the fruit sounds like the word for “to have.” The word for fish , “Yu,” is close to the meaning of wish and abundance and is, therefore, served whole at the end of the festival meal. Who can resist a delicious steamed sweet dessert? Sticky rice cakes are wildly popular for many reasons. The sweetness symbolizes a sweet, rich life. The many layers of the cakes connote rising abundance in the coming year. And the round shape of the dessert is a sign of family unity. Every food in the Chinese culinary lexicon has multiple meanings and symbolism. You will find these other delectable and symbolic Chinese New Year dishes at the premier authentic Las Vegas Chinatown Restaurant: Kung Fu Thai and Chinese Restaurant. 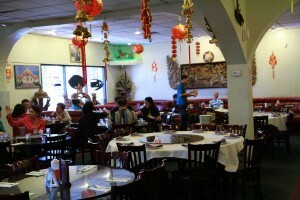 Take this guide with you after you reserve your place at the table for a memorable Chinese New Year feast. If you can’t be there, by all means use the restaurant’s computerized take-out ordering system. All selections and dishes are clearly shown and your food will get it delivered to your doorstep most anywhere in Las Vegas. Happy New Year!